MOSCOW, July 15, 2016 (Buziness Africa) -- As already well-known since Soviet days, Russia has pursued a pragmatic policy aimed at enhancing multidimensional ties with the countries of the continent on the bilateral and multilateral basis. Experts say while building mutually beneficial cooperation remains one of the main priorities of Russia, its economic cooperation with Africa has hit stumbling blocks, for example, trade turnover with the countries of sub-Saharan Africa for the period from January to December 2015 was estimated at US$ 3.3 billion. Ahead of the St. Petersburg international economic forum was scheduled from June 16 to 18, policy experts have offered their views on the current Russia-Africa relations in separate interviews. Over the last decade, forum has become a leading international platform for the discussion of the key economic issues facing Russia, emerging markets and the world as a whole. It attracts over 10,000 foreign and Russian participants, including government and business leaders from the emerging economic powers, as well as leading global voices from academia, the media, and civil society. Under the topic "Russia-Africa: Advancing New Frontiers" for this year, the panelists at the business round table will attempt answering the question: How can Russia accelerate its economic ties with the continent and what sectors are likely to be successful first movers? Nataliya Zaiser, who is a Public Policy Advisor at Squire Patton Boggs Moscow office covering Russia, the Eurasian Union and Africa, and also the Head of the Africa Business Initiative explained in an interview that over the past few years, Russia's efforts have achieved little success because "times have changed significantly, for example, new economic and political environment, new challenges, new competitive conditions, new bases for cooperation." She added that "people are different, minds are different, technologies are different. In all that, you have to find absolutely different approaches to building business relationships and strategy. What remains the same is a will, a very loyal mutual attitude between Russia and African countries and strong desire to push forward these mutual efforts." 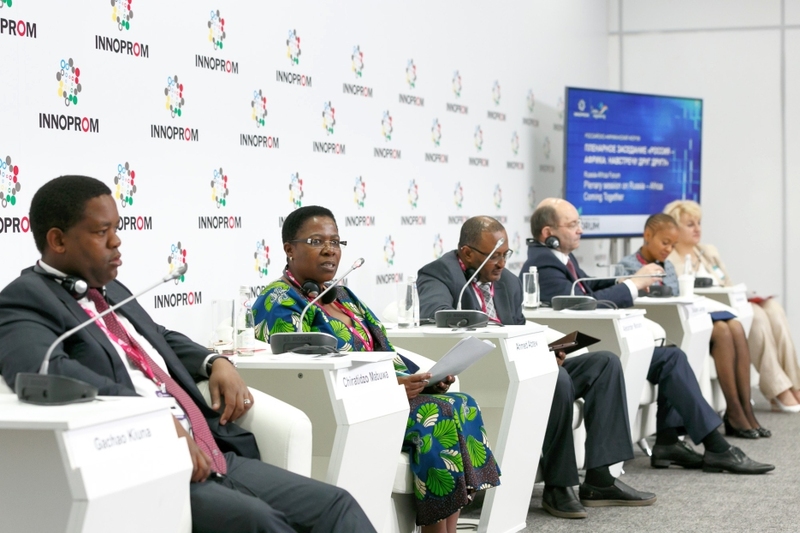 She explained further that advancing new frontiers in the relations is a very good sign that first time in the history of the Forum "Africa-Russia" round table is officially included into the main program. This Forum is international that aims at getting together business community, government officials and others to bring on board and discuss the most up-to-date topics, to find solutions within the international community circle. Each country in the world has something to bring on the agenda. New frontiers here should be read as "new opportunities", "new approaches" and "new perspectives". "To my mind – future in any case stands for international cooperation that should be based on a very strong and transparent legal, economic and social background. On the one hand it will help to join efforts on working with Africa and develop the continent; on another hand it will allow to diversify economic and geopolitical presence on the continent so as to avoid monopolies and possession attempts," Zaiser added. She concluded that "this is a much more beneficial approach for everybody both for African countries as well as for their international partners. 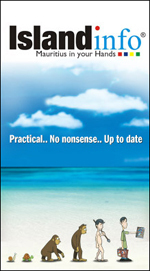 Professional sophisticated partnership - is a good phrase which may be used to describe our way." Since March 2016, Zaiser has been the Head of Africa Business Initiative, created with the support of the business as a platform for the humanitarian, economic and legal expertise, aimed at the reconstruction and strengthening of relations between Russia and Africa. The main goal of this organization - to unite the efforts in promoting and supporting the interests of Russian business in the framework of broader international cooperation on the territory of the African continent. 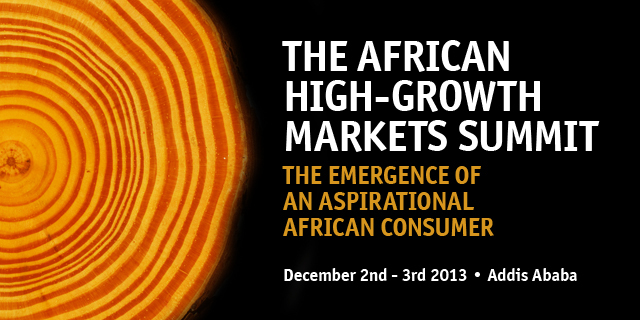 The Institute for African Studies (IAS) is a partner to the Africa Business Initiative (ABI). It is a direct challenge - to move from declarations (Memorandum of Understanding) to deeds by bringing together government, diplomatic, scientific, economic and financial resources in order to promote Russian business on the continent. Quite recently, Russian authorities have made relentless efforts toward raising Russia's political influence and economic cooperation in some African countries. Thus, discussions at the forthcoming forum will undoubtedly focus on reviewing the past and the present as well as proposing practical ways to facilitate investment activities and that might include promising areas such as infrastructure, energy and many other sectors in Africa. Professor Irina Abramova, newly-appointed Director of the Institute for African Studies under the Russian Academy of Sciences, has acknowledged that "as before, we cannot deny the insufficient knowledge of the Russian business structures specificity of Africa, its requirements, and other parameters. On the other hand, Africans are poorly informed about the possibilities of Russian partnership." On her part, Alexandra Arkhangelskaya, a Senior Researcher at the Institute of African Studies under the Russian Academy of Sciences and a Staff Lecturer at the Moscow High School of Economics said in an interview that Russia and Africa needed each other – "Russia is a vast market not only for African minerals, but for various other goods and products produced by African countries." The signs for Russian-African relations are impressive – declarations of intentions have been made, important bilateral agreements signed – now it remains to be seen how these intentions and agreements will be implemented in practice, she pointed out in the interview. The revival of Russia-Africa relations should be enhanced in all fields. Obstacles to the broadening of Russian-Africa relations should be addressed. These include in particular the lack of knowledge in Russia about the situation in Africa, and vice versa, suggested Arkhangelskaya. Russia and Africa are gearing up efforts in raising the level of trade and business, Andrey Efimenko, an Expert at the Russian Chamber of Commerce and Industry (CCI) said in an exclusive interview with me, emphasizing unreservedly the importance of increasing business and economic cooperation with the African countries. "Unfortunately," Efimenko regrettably pointed out, "some large Russian companies operating on the African market, has managed to establish itself negatively in a number of countries. This is primarily due to ignorance of cultural peculiarities of the region, the lack of social responsibility, failure to fulfill contractual obligations. These cases damage the image of Russia and Russian companies with further entering the African market." 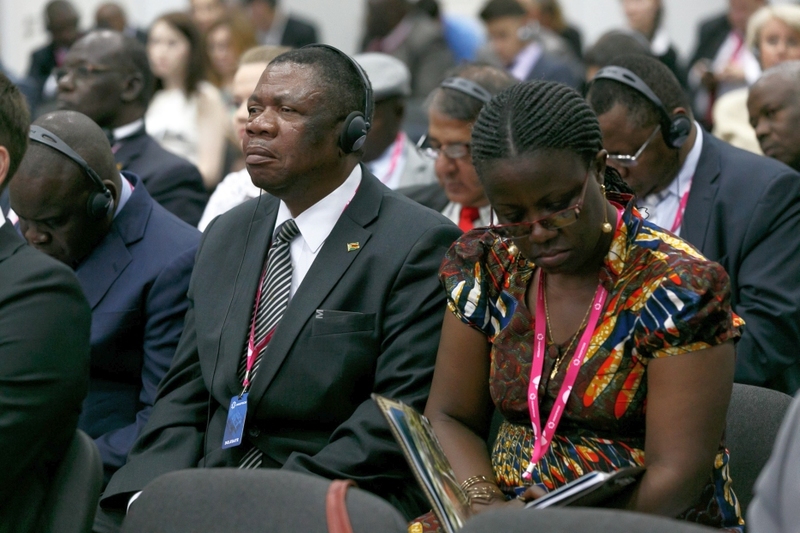 In conditions of high competition on the African market from China, European Union and the United States, Efimenko suggested that forming public-private partnership with the coordinating and steering role of the state is at this stage the key to success and the best form of development of cooperation of Russia with African countries. "What seems to irk the Russians, in particular, is that very few initiatives go beyond the symbolism, pomp and circumstance of high level opening moves. It is also still not clear how South Africa sees Russia's willingness (and intention) to step up its role in Africa, especially with China becoming more visible and assertive on the continent," said Professor Gerrit Olivier from the Department of Political Sciences, University of Pretoria in South Africa. "Russia, of course, is not satisfied with this state of affairs. At present diplomacy dominates its approach: a plethora of agreements are being entered into with South Africa and various other states in Africa, official visits from Moscow proliferate apace, but the outcomes remain hardly discernible. Be that as it may, the Kremlin has revived its interest in the African continent and it will be realistic to expect that the spade work it is putting in now will at some stage show more tangible results." Professor Olivier wrote from Pretoria. 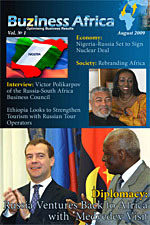 Both Russian and African policy experts, however, suggested that the existing Memorandum of Understanding (MoUs) Russia has signed with many African countries and together with various economic agreements reached by the joint business councils over the past few years provide solid framework for raising vigorously its economic influence as well as strengthening relations to an appreciable levels between Russia and Africa. *Kester Kenn Klomegah is an independent research writer on Russia-African affairs and a member of the Regional Council for Development of Relations with African Countries.